Here's the Full Memo Announcing Major Changes at Time Inc.
As part of the changes, Time Inc., which owns Time, Fortune, People, Money, Sports Illustrated, and other magazines and websites, is officially centralizing its advertising sales under one executive, Mark Ford, who is the company’s Chief Revenue Officer Global Advertising. The company described its ad sales restructuring as significant, and that it would refocus the unit into three divisions, including one group that will be focused on selling ads across titles. Time Inc.’s ad sales teams have historically been focused on selling ads for only individual brands. 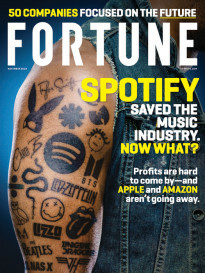 On the editorial side, Alan Murray, the editor of Fortune, is taking over the role of Chief Content Officer, replacing Norman Pearlstine. Pearlstine, a former executive editor of the Wall Street Journal and editor-in-chief at Time Inc., will remain at the company as vice chairman. Jen Wong, the head of Time Inc.’s digital operations, will also take on the role of overseeing The Foundry, the company’s content studio. Rich Battista, a Time Inc. executive, will oversee all the company’s brands. Evelyn Webster, a long-time Time Inc. executive and former head of Time Inc. UK, is leaving the company. Today we are announcing important steps that are expected to drive our historic transformation—a transformation that began with our spin-off from Time Warner two years ago. Today’s announcements are about positioning ourselves for long-term growth. A new structure will allow the organization to unlock and scale innovation while unifying processes and advertising opportunities critical to our future. Our Product, Editorial and Ad Sales leaders will be able to more efficiently work across all brands as One Time Inc. and more easily provide creative solutions to marketers. I am confident that our new structure will enable us to benefit from many new, extraordinary opportunities ahead. The changes we are announcing today affect three broad groups: Advertising Sales, Editorial and Brand Development. Category Sales—We are extending our category approach to include all of our largest partners. This change will make it easier for our clients to buy across our portfolio, and we will provide them with 360-degree solutions (e.g., native, targeting, live media). Brand Sales—Our powerful brands are the cornerstone of our go-to-market strategy. We are creating clusters to efficiently serve endemic/brand advertisers with premium content solutions. Digital—We are establishing dedicated digital sales teams to provide digital-first clients with scale solutions. They will provide digital expertise and support to Category and Brand Sales. Time Inc.’s US sales planning, sales marketing and development teams, which previously supported corporate and brand sales, will also move into Mark Ford’s organization. Time Inc.’s creative studio, The Foundry, will now be led by Jen Wong, President of Time Inc. Digital. Increasingly, CMOs want to speak to their customers in the same way that Time Inc. talks to its audiences. The Foundry, our state-of-the-art creative lab and content studio in Brooklyn’s Industry City, brings the full potential of Time Inc.’s storytelling expertise, editorial know-how and creative spirit to help brands tackle their most demanding marketing challenges. 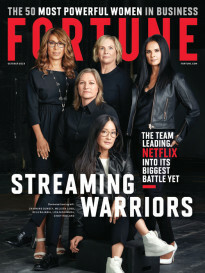 We believe branded content and native advertising solutions present a large-scale opportunity for Time Inc.
Editorial—Alan Murray, editor of Fortune, will succeed Norman Pearlstine as Time Inc.’s Chief Content Officer. All Time Inc. US editors will report to Alan. Under his leadership, we will maintain our commitment to quality journalism and storytelling. At the same time, Alan will lead our editorial efforts to grow audiences in every format and on every platform, with particular emphasis on mobile, social and video. Alan will report to Rich Battista on business and editorial matters and to me on matters of editorial independence and journalistic integrity. He will continue to serve as the editor of Fortune until his successor has been named. Norm Pearlstine will continue to work at Time Inc., reporting to me as Vice Chairman. Norm returned to Time Inc. soon after I did to work on the spinoff from Time Warner and to help break down historic barriers, enabling editors to collaborate more closely with business-side colleagues. With that work largely behind him, in his new position, Norm will focus on international growth opportunities for Time Inc.’s brands and content and other projects. Brand Development—All of Time Inc.’s US brands will now report to Rich Battista as EVP, Time Inc. and President, Brands. In this role, Rich, will be the primary brand steward, overseeing brand editorial, development, marketing, public relations, operations and strategy, as well as Time Inc. Video. Rich will continue to do the work he started at People, Entertainment Weekly and Sports Illustrated to transition our brands to become true multimedia, multi-platform businesses and to introduce an entrepreneurial spirit and investment culture into the organization. We believe that if we nurture our brands, they will endure and grow. Evelyn Webster, who has served Time Inc. as Executive Vice President since 2011, will be leaving the company at the end of August. Evelyn has been a vital member of the Time Inc. team for more than two decades. At Time Inc. UK, she rose through the organization to become CEO. More recently, she led business operations for 20 US brands that reached more than 100 million consumers. We thank Evelyn for her many contributions throughout her years of service to Time Inc. I know that many of you have questions. In the coming days, you will receive more information from Mark, Jen, Alan and Rich about their organizations. Also, we will be hosting town hall meetings throughout the day today to discuss these changes. In the meantime, please feel free to contact me with any questions. There is tremendous energy and creativity at Time Inc. With our new structure and our incredible talent, I am certain that our best days lie ahead.